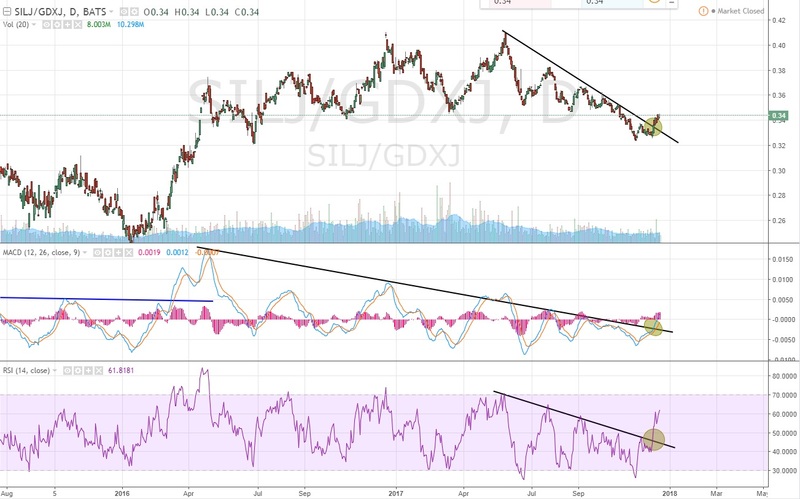 … GDXJ/GLD RSI trend line is broken (Bullish miners relative to gold). 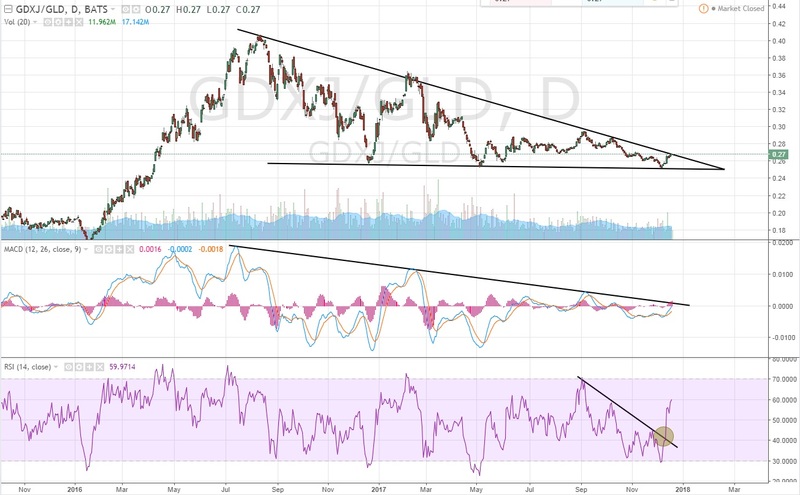 … Bullish break for silver miners on the “Price” chart, MACD turning up as well as small trend line break on RSI. Favors silver miners strength relative to gold miners overall. 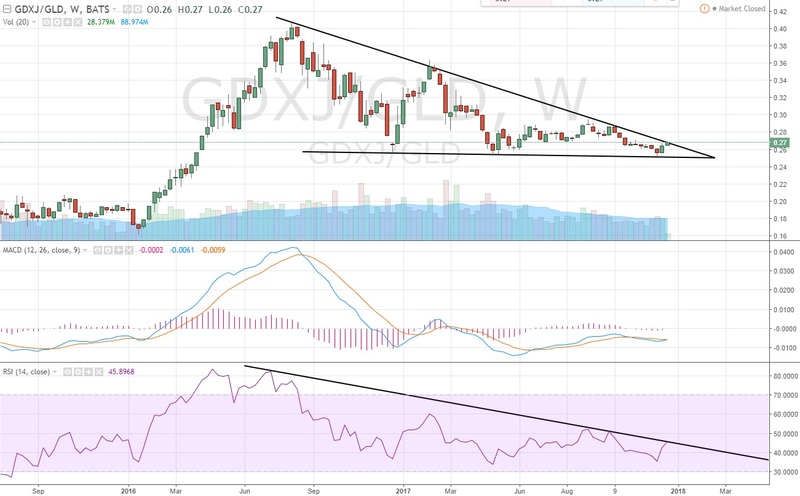 … Bullish trend line breaks on price, RSI and MACD. Suggest silver miners will be stronger than gold miners in the short to medium term. Overall it looks like we are nearing a pretty big inflection point for the miners. 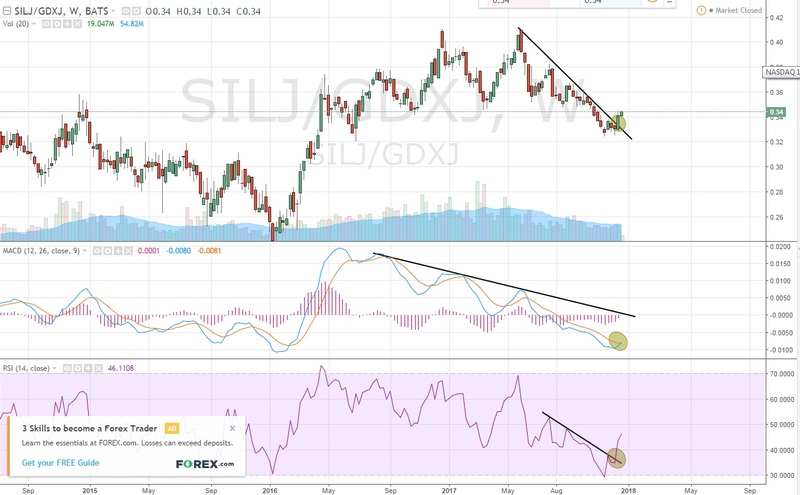 GDXJ (gold miners) is nearing a bullish break out relative to gold and silver miners (SILV) already have bullish break outs on especially the daily chart vs GDXJ. Note: This is not trading advice! Since these are ratios (relative strength), they say basically nothing in terms of overall direction.